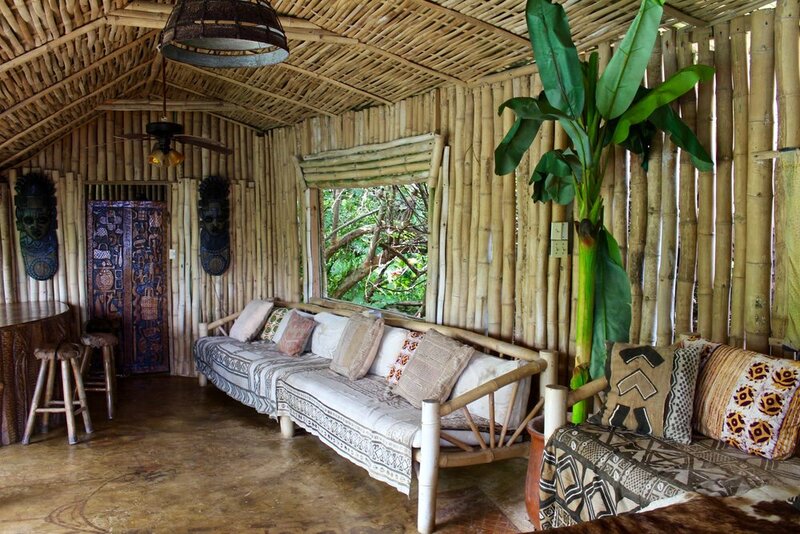 Great Huts invites you to an iconic Afro-Jamaican styled, rustic and charming, open-air dining experience. Our delicious chef-prepared meals are a combination of healthy international and authentic local dishes or customized any way you like. We invite you to join us for lunch or dinner at your choice of three magnificent locations. A traditional Jamaican breakfast is complimentary for all guests. 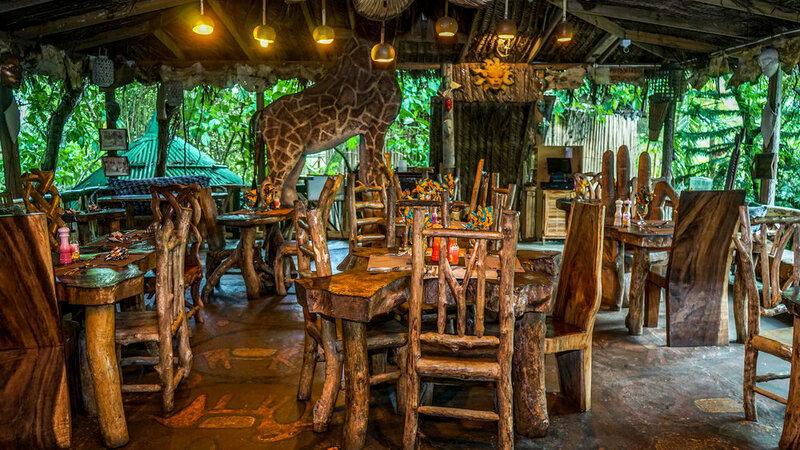 Our distinctive main dining room-without-walls is appointed with handmade furniture, Jamaican art, a life-sized giraffe and handsome lounges. 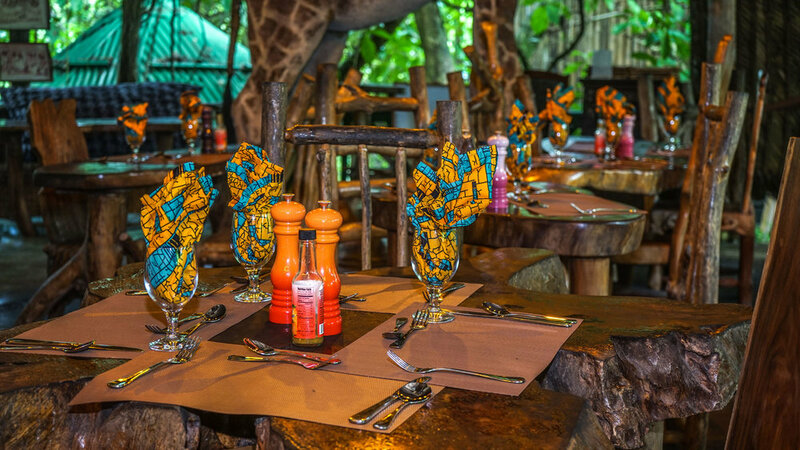 This tropical Afro-themed setting is also the perfect place to enjoy Saturday Night Entertainment and lovely meals. Every Saturday at 7:30 p.m., we feature the talents of our community including a Cultural Show performed by the "Manchioneal Cultural Group" and Portland's very own "Riddim Bank" for classic reggae and island rhythmns. Distinctive cliffside dining a stone’s throw from our Royal Lounge, with 180-degree Caribbean views that will take your breath away. There’s no roof here, so you can enjoy your evening meal under the canopy of Jamaica’s splendid starry night. 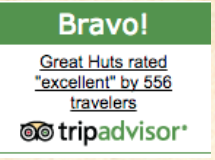 Come for the view, stay for the delectable vittles. A covered bar and dining area on the cliffs at Great Huts’ eastern end, Royal Lounge is a sensational spot for an intimate, relaxing lunch or dinner. Looking out over Boston Bay’s crescent beach or looking back on our Elysian gardens, you’ll have an unforgettable dining experience.